Indeed, Black Friday is becoming one of the best and largest shopping day of the year. This has made a lot of people to seek more fun out of it by planning for the best Black Friday deals. Black Friday hours do vary between the retailers of which some store hours may vary by location, so one need to check online and know exactly what’s going to be on sale. Actually, many of the deals normally start on Thursday, and once you got to know the best deals on sale, that will get you up and keep you hunting online for it till dawn. Many do ask when is Black Friday 2018 coming up? Oh, yea, Black Friday is always the Friday after Thanksgiving, and this year Black Friday 2018 will be on Friday, 23 November. However, if you are ready to get shopping and make the most out of the best Black Friday deals, you need to follow these tips in getting the best deals on Black Friday out there. Here you will get to know some important secrets for Black Friday shopping tips. With these, you can shop together with your loved ones, family and friends all day long without any interruption. Let’s see a few of them below! Obviously, you don’t need anyone to tell you. Avoid much sleep and get out to the store very early because the sooner you get there, the more likely you will find the best items you want. Here, you just need to plan on waking up early or staying up really late so as to get the items on your list. Do not let hot-ticket items to linger in your online shopping cart; they will sell out. So try your best to act very fast to get them. Oh yes, this is one of the basic tips to know when shopping. Now you need to list the items you need to buy first by store and then by order of importance when making your list of items. With this, you will have it in mind as “must find” items at the top, and it will help you focus first in finding them as you visit each store. And once you get there, first walk to that section/unit to find the item you want. You have to decide on which stores to shop at, visit each of the store websites and then Sign up for email/newsletters. Also, try and follow your brand or store on social media to receive quick offer alerts and discounts before anyone else. This is very important for you to do, at least two weeks before the Black Friday. It can take time before the emails start to generate, so you ought to sign up on time. The early bird catches the worm, yes it’s true; many retailers normally start to put few or new items on sale online before black Friday. Hence, this can mean some awesome deals that won’t be available later during the week. You have to follow sites/stores which share these deals in a simple format. Then, with this, you will not miss out on any of the new items being offered. Yes, having a good budget plan is very necessary even before you make a list, you need to know your budget and once that is set, then get your cash. When going shopping, set your limit and leave your credit cards behind. This will make you think well about every deal you want to get and as well reduce impulsive shopping. Once your budget is set, there is no way you can overspend as you don’t have the money to do it at the moment. When shopping, you need to have your list in one hand and your phone on the other hand. Immediately you find the items you want, always do a quick scan to check and see if it is less expensive elsewhere. You can do this using the site/store App; like Amazon App, the app has a feature which allows you to scan the barcode of the products right in the store. Remember, not every item list you want will be on sale, so you need to take time and check out on other stores to know which store has the best offer at a lower price. However, when booking flights like Travelstart Nigeria, which is currently on black Friday Bonanza with 30% off for every flight deals. You also need to check out hotel specials around your travel dates. Shopping with a friend helps to bring out the most items in getting your best Black Friday deals. This makes it more fun to shop with a friend or someone you love. Teamwork indeed is a golden one as it helps to split up tasks to work through your list together and faster. Your friend can visit one section of the hot-selling deals like the electronics section, then while you are in the toy aisle finding another item on your list. With this, you both can make the best shopping ever for the whole day. Here is an info-graphic presented by Travelstart Nigeria on tips to bag the best Black Friday Deals. 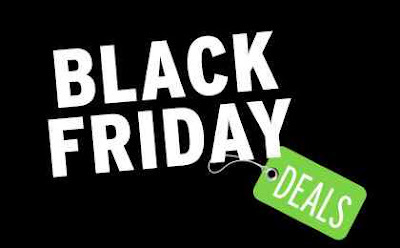 So here you have it on the basic tips to get the best Black Friday deals available, anytime and any day. Indeed it’s going to be the best black Friday for you once you follow up carefully with the above shopping tips and make the most deals out of it. Also remember, the most important thing is to set yourself up for success and have fun then enjoy! Hey Nouman, to get the best black friday deal on any store or likely sites, follow the tips listed on this post carefully. Meanwhile you can get cool black friday deals on phones from sites like Jumia, Konga, Amazon etc. check them out!